With Google’s release of their mobile-first indexing algorithm, businesses need to place greater emphasis on improving mobile users’ experiences. To remain relevant, a successful SEO strategy must focus on a mobile-first mindset. If you do not have a current responsive website, you may be losing customers before they even had the chance to learn about your products and services! Let’s discuss the importance of mobile websites and how Google ranks and indexes search results. Google has one single index and now only views mobile content as searchers’ behaviors evolve. Google has created and launched the mobile-first index to provide the best user experience and most accurate search results. According to the Google Webmaster Blog, this took a year and a half to complete. 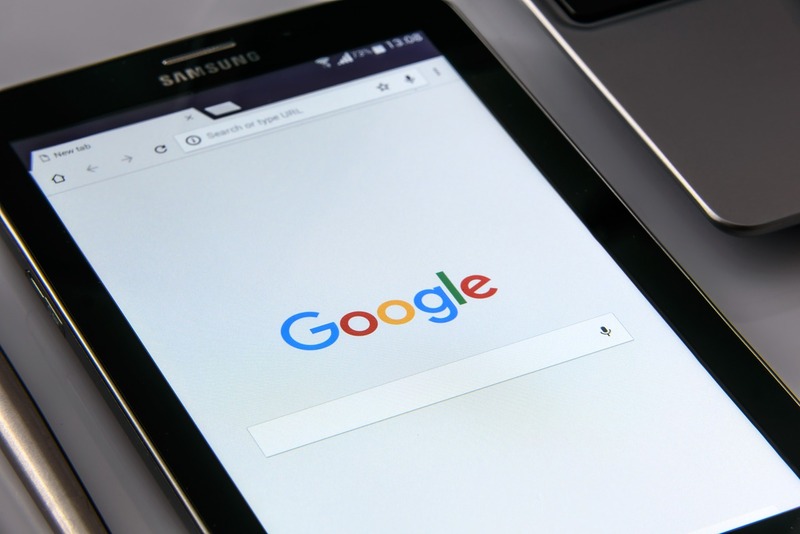 By implementing Google mobile-first indexing, all searches now reflect content that only appears on mobile websites in the event your mobile site differs from the desktop version. Google mobile-first uses this visible content to index and rank search listings regardless of the device usage. Some people have a website that works the same on desktop and mobile. For the modern Smartphone, that is painful because people do not want to pinch or expand. For some businesses, a second website has been built specifically for a mobile device. However, this is less common because many businesses have converted their website into a responsive design. Google crawls meticulously browse links on the web and builds an index of pages, images, and documents discovered from Google’s web crawler’s search. Google’s mobile-first only crawls mobile versions of websites and remains proactive in data captured. Awareness: Simple enough, some business owners don’t take the time to actively look at their website. With an objective approach, check out your mobile website and see if you can find any shortcomings. Content and Links: Mobile sites should be matched with the same content as your desktop version. Building and maintaining two websites is inefficient and expensive. Make sure you clean up any inconsistencies to simplify Google’s effort to gather relevant content for page ranking. Even better, one consistent experience across devices makes for a more seamless experience. Analyze All Pages: Go page by page and examine your mobile content. Strive for consistency across mobile and desktop platforms including social media posts. Make sure mobile and desktop landing pages and URLs match when adding links across social media platforms. Drop-Down Menus: Stack content under one tab to maintain a clean appearance. “Hidden” content appearing in drop-down menus serves a purpose by being expandable, logical, and user-friendly. When Google crawls the mobile site, content on pages in drop-down menus get analyzed. In the Google mobile-first index, drop-down menus carry more content and weight leading to higher search results. Google did not account for content in drop-down menus when previously crawling desktop versions, resulting in potential missed opportunities. The Google mobile-first index captures all content stacked in your mobile site leading to a full user-experience of what your business offers. Make it Mobile Friendly: If you do not have a user-friendly mobile website, this affects your mobile search results ranking. Businesses must have a responsive mobile site as part of any SEO strategy. Remember, the stronger the content on your mobile site, the stronger the ranking of your search results. To strengthen your search results and success, mobile-first needs to be your central mindset. If you do not have a mobile website, you want to implement this tactic sooner rather than later. 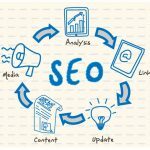 Taking these call-to-actions will lead to more accurate ranking and strengthen your SEO. Mobile indexing distinguishes strong mobile content, and you want to have a well-structured mobile site. The results will increase audience engagement with your business brand. Fetch and Render: A feature available after Google verification of your website lives in the Google Search Console. A Google Bot will Fetch and Render and inform you of content not visible to Google. Upon completion of Fetch and Render, if you come across missing content, make any appropriate fixes and rerun the tool. Mobile Usability: Google Search Console allows you to view mobile usability and automatically flags any errors GSC may see on your mobile site. An example would be if the content is too close together and causes readability and clicking issues. Any error triggers a notification, which will outline the potential error. Accelerated Mobile Pages: Page load speeds contribute to your overall ranking while optimizing a search user’s experience. The Google Search Console provides a status report displaying any errors that prevent AMP pages from appearing in results. Google offers solutions to the problem and once corrected, you can inform Google with another fetch of the page. Structured Data: Structured data can consist of images and logos. Google determines which data to index, but with markup tools and coding, you can improve your mobile search results. Google uses your mobile website’s titles, headings, tags, and content to rank your appearance. Make it a weekly practice to implement the Google Search Console to see what appears in your search results. Canonical URLs: A canonical tag lets search engines know that a specific URL represents the master copy of a page. By using the canonical tag, website owners can prevent Google caused by duplicate content appearing in multiple URLs. With the surge of mobile usage, bounce rates have started to inch higher with most sites seeing a 60% or higher average rate. Given a limited attention span, your business has to make the user-experience a number-one priority. To further assist, the Google Search Console has many useful features to identify well-performing or problematic areas and should be assessed regularly. If you need assistance with making sure your mobile website has a strong SEO strategy, understanding the Google mobile-first index, or creating meaningful content to appear in search results, Premiere Creative would love to help! Contact the Mobile Website experts at Premiere Creative to help you make the most out of this mobile and modern era! We ensure an excellent strategy in putting your business and mobile website first!